Japanese separation resins firm YMC has acquired ChromaCon AG, adding a range of continuous chromatography technologies to its ever-increasing large molecules purification portfolio. The deal, financials of which have not been released, saw YMS acquire 100% of ChromaCon shares and intellectual property rights. This includes patents around multi-column processing, the Contichrom benchtop instrument range of products and several license arrangements. “YMC Process Technologies already manufactures and markets GMP production skids embedding ChromaCon technology,” Philipp Anstätt, strategist aligning R&D and market prospects at ChromaCon, told Bioprocess Insider. Gerard Gach, chief marketing officer at YMC Process Technologies, added his firm has already begun incorporating ChromaCon into its business as several YMC geographies – Japan and India – have been distributing the ChromaCon benchtop systems. The acquisition propels YMC into the biologics space, Gach told us. Over the past year, the firm has moved further into the biopharma chromatography space through the acquisition of the bioprocessing business of Lewa-Nikkiso America. 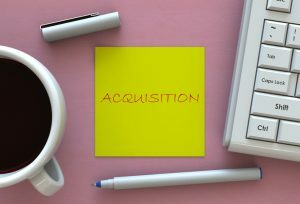 The deal brought YMC several bioprocessing technologies, including staff and assets dedicated to the development, manufacture and sales of batch and continuous chromatography equipment, and buffer dilution systems for the biopharmaceutical market. It also brought YMC a facility in Devens, Massachusetts, which the firm has now said it intends to expand adding an extra 3,400 square-feet to the existing 33,000 square-feet production facility.